In Cusco, the seasons of the year are not especially marked. 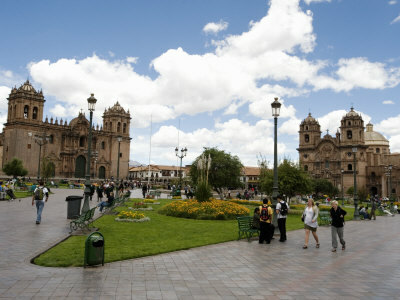 Instead, the weather in Cusco, Peru is characterized by the dry season or the rainy season. The dry season occurs from mid-April to mid-November, which is fall and winter. More specifically, the winter months in Cusco are June, July, August, and mid-September. During these nights, the weather becomes very cold, with temperatures usually in the mid to high 30's (Fahrenheit). Thus, among the locals, coats and scarves are very popular during the winter evenings and nights. To deal with the colder weatehr, long hats that cover the ears are also used by the locals, with gloves being less common, except among the tourists. Despite low temperatures during the winter nights, it rarely ever snows in the city of Cusco. At most, the locals will wake up with some frost in their yards. Now, although the nights tend to be cold, it can get extremely warm during the winter days!! Since Cusco is at such a high altitude, the sun feels strong, with temperatures ranging from the mid-high 70's (Fahrenheit). Thus, it is imperative to wear sunscreen if you go out in the middle of the day. At this time, most of the locals go out dressed in T-shirts and jeans. 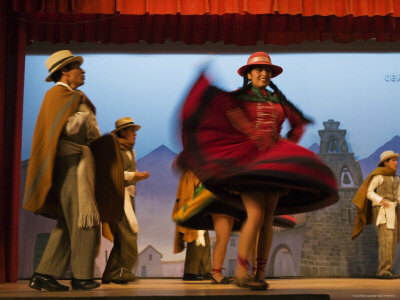 You will rarely see Peruvians dressed with shorts or a short skirt as this is not common. The locals know that if clouds set in or if they step into the shade, the weather will turn cold very quickly and thus do not chance wearing shorts or short skirts. For the same reason, you rarely see the locals wearing sandals. Sneakers, shoes, or stylish boots are more popular. 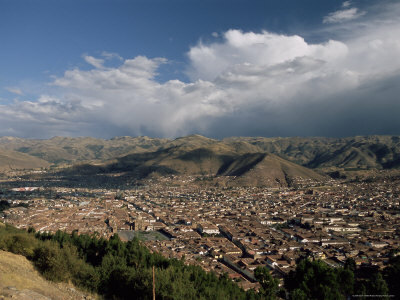 The rainy season weather in Cusco starts in November and lasts until the first weeks of April. During this time, it rains approximately three hours a day and most of the night. Since the sun doesn't come out as much in Cusco in these months, the weather does not feel as hot during the day (although it is not too cold either). Dress during these months is very similar to how you would dress during the winter weather. The majority of Peruvians use water proof jackets or coats, with some carrying "ponchos de aguas" (a plastic garment that you drape over your head and body). You will occasionally see people with umbrellas, but this is more popular among the tourists than the locals. Occasionally, rainy weather will flood the streets or cause mud slides in certain areas. With regards to Aguas Calientes, we need to take into account that we are traveling to a warmer, more humid place than the city of Cusco. In fact, Cusco is known for its "microclima," which refers to the different altitudes in the region, which causes the weather to vary. Since Aguas Calientes is at a lower altitude, the weather is a little warmer in this town. Therefore, it is possible to dress lighter on the train to Aguas Calientes, maybe a lighter jacket instead of a coat. Of course, the time of day and the season (dry or wet) affects the weather and will also determine the dress code. In my opinion regarding the weather in Cusco, well, I really like how it feels during the day in wintertime. The sun can feel strong, but after a cold night (with no heating in the houses), any warmth is greatly appreciated. Would you like to try your hand at writing an article for Inside-Peru? Go to My Favorite Peru Story and see how to do it. Cusco Museums - Find and/or review museums in Cusco, Peru. Phone, email, web site, address, and description included where available. "A superb work of narrative history"